A collage painting is unique and wonderful gift. All you need to do is send me a variety of photos that you would like to have included in your painting, and I will hand paint you a custom collage painting. 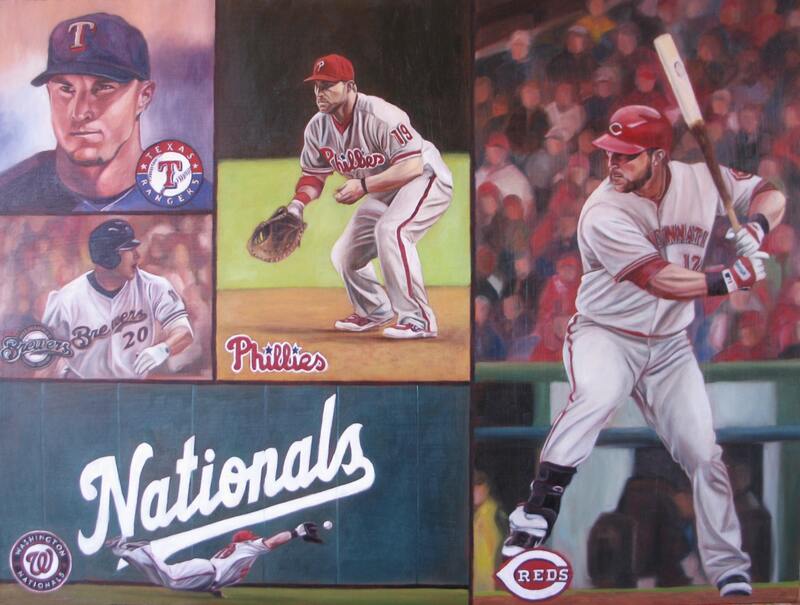 This photo is a sample of a collage I painted for MLB Laynce Nix of the Philadelphia Phillies.